The Mill House was built in 18th Century is fully modernized but retains its charm. It has an aga and open fires, but is south facing and benefits from a lovely patio overlooking the stream (tributary for the river Avon). There are trout in the stream and kingfishers and egrets can be seen in the garden. The very attractive nearby town of Marlborough has a renowned Summer School. The train journey to London takes under an hour. This is a beautiful home with stunning gardens. It has spacious rooms and is well equipped. The owner was excellent at communicating all through booking and our stay. We had a wonderful time here and would definitely recommend it. It was a pleasure staying at Little Mill house - we had all of the comforts of home and more besides. Thank you Serena for enabling this to happen. Great property with everything you could possibly need. Bed was comfortable, wifi was fine and the cottage itself was charming and warm. The wood fires were especially loved on such cold days and nights. I would have no hesitation in recommending or returning. Thank you Serena for letting us stay in your beautiful house. As described, a very peaceful, cottage in the Wiltshire countryside. Full of charm and comfort. 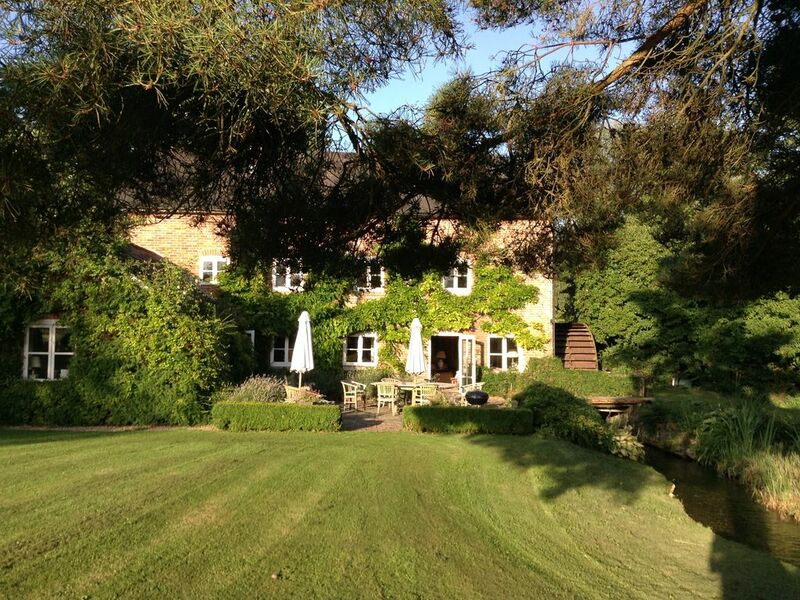 I stayed at Sharcott Mill house for about a month, to enjoy the peaceful solitude of english country life, while not being too far from civilisation. the house is very cozy and the garden full of natural beauty. The Pewsey train station has a direct train to Paddington London so I never felt remote. Also lots of destinations within range for a day trip. We loved staying here. The house is very comfortable to stay in, and was spotless on arrival, with everything we needed on hand. The village setting is charming, quiet with good dog walks close by. Highly recommended. We have just returned from 6 glorious days at the Mill House in Pewsey. Upon arrival our host had left us some eggs form the local farm and some home made elderflower cordial. It was myself, my mother and our dog and we really couldn't of asked for a better place to escape the hub bub of our daily loves. We took full advantage of the garden and were blessed with glorious sunshine but even on a dull day the house and surrounding grounds would be a treat. When we weren't in the garden we spent our time exploring the local towns and villages. We can't wait to return and are already planning when we will be able to get away.